Can't attend? Follow MOX CREATIVE WORKSHOPS to know of future events! 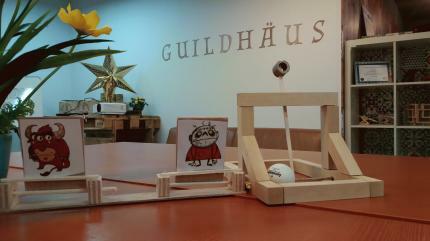 Unleash Miniature Mayhem with Model Catapults! 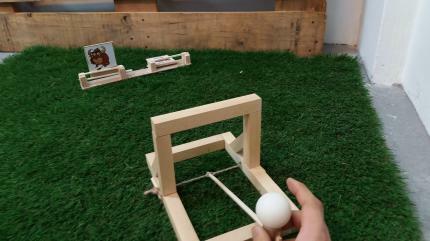 The catapult is a perfect example of a teachable physics toy to the young. Inspired by Medieval Siege Engines, the Catapult uses Torsion powered rope to generate potential energy to launch projectiles into the air. Coupled with a Target range you can build, lay siege on your targets with your catapult toy! Unleash your Creativity! 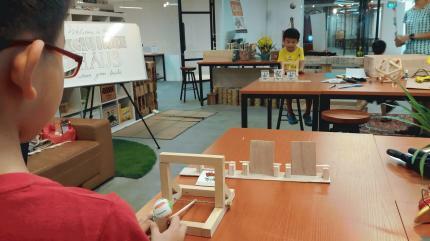 Learn how to assemble your catapult parts with the hot glue gun, and basic woodworking tools like saw and drill to build up your target range..Learn the mechanics and basic principles of how the Catapult fires!